Sometimes saying you're sorry isn't quite enough, but at least it's a start. 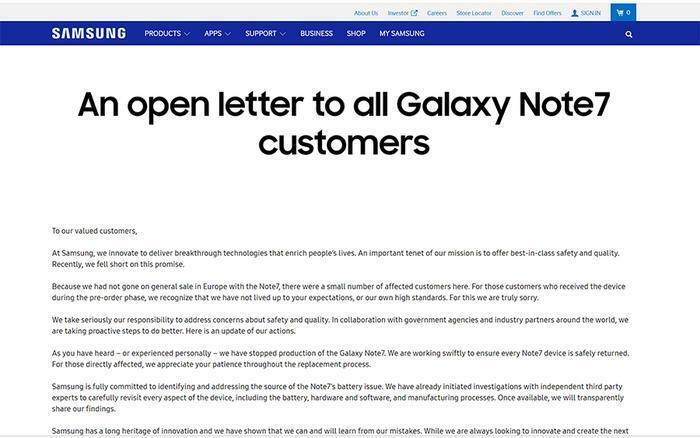 That seems to describe Samsung's attitude as the South Korean conglomerate faces a consumer backlash from its Galaxy Note 7 disaster and its exploding washing machine recall. With customers all over the world feeling annoyed, Samsung has its work cut out for it as it tries to make amends. For starters, it ran full-page ads in major newspapers and online this morning, saying it "fell short" on its promises and vowing to do better. "Samsung is fully committed to identifying and addressing the source of the Note7’s battery issue," the ad reads. "We have already initiated investigations with independent third party experts to carefully revisit every aspect of the device, including the battery, hardware and software, and manufacturing processes. Once available, we will transparently share our findings." The ads -- at least the ones we found -- don't mention the recall of 2.8 million washing machines in the U.S. that followed years of complaints about the machines basically shaking themselves to pieces and sometimes starting a fire in the process. It may take more than an ad to mollify some consumers, though. Scott of Alaska is miffed that Samsung has left many consumers to fend for themselves after their Galaxy Note 7 phones caused fire damage. "Samsung Behavior Absurd. Henceforth, I choose not to purchase any Samsung products," Scott said in a ConsumerAffairs review. 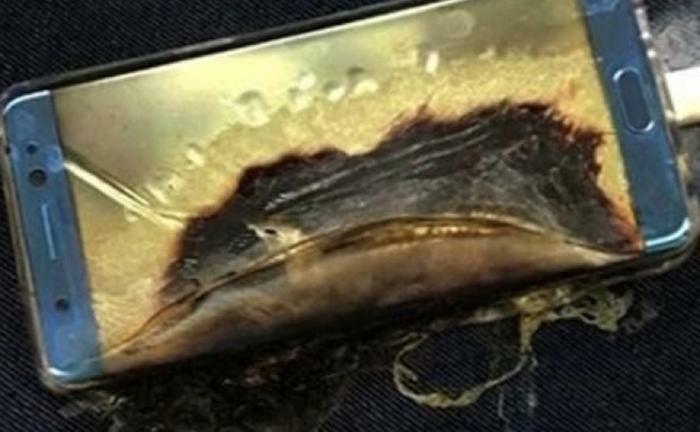 "Folks with collateral damage to their property and homes from EXPLODING PHONES will not be compensated by Samsung for the damage, according to Samsung. This could have been me. Thus, I wish to send a message in a language Samsung understands: behave unethically, and be prepared to experience fewer sales. Simple." D.C., of Roswell, Ga., has one of the recalled washers but has been unable to take advantage of the recall, she told ConsumerAffairs. Leia of Nanaimo, B.C., said her Samsung washer started a fire in her home but Samsung has refused to take any action because she does not have a receipt showing she purchased the washer, which she said was already installed when she bought her home. "They want me to track down the realtor to then get a hold of the person who originally purchased the set. I'm like 'are you kidding me? I could have lost my whole house because of your washer,'" Leia said. Although not subject to any recent recalls, Samsung TVs haven't been winning any friends lately either, with more than 3,300 consumers posting reviews that range from mediocre to terrible. "Buy one on your anniversary for a painful reminder year after year!" said Eric of Hermosa Beach, Calif., who complained of repeated problems with his curved-screen TV.